It may be old, but it's still amusing... like a good 'getting hit in the balls' joke, you never get tired of it. Why do you think America's Funniest Home Videos is still on the air? 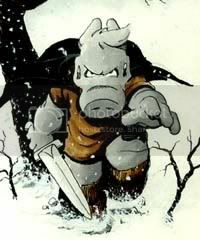 Where in The W...orld is Cerebus? This old hunk of junk rendered your page in 0.642 seconds.